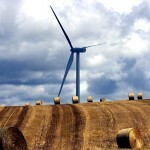 Another group of Ontario landowners has filed a lawsuit against a wind power project in the escalating legal skirmishing over renewable energy. 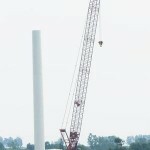 The latest action – against the East Lake St. Clair wind project near Wallaceburg – is the 10th that his firm is working on, according to lawyer Eric Gillespie, who filed the claim. 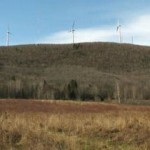 Last month, 60 residents of New York’s Herkimer County filed a lawsuit in Albany that provides yet another example of the growing backlash against the wind-energy sector. It also exposes the double standard that exists in both the mainstream media and among environmental groups when it comes to “green” energy. 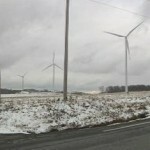 People in two Herkimer County towns are getting their feathers ruffled over wind power. 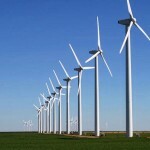 They’re both headed into court hoping to get their way, but, as YNN’s Andrew Sorensen tells us, they couldn’t be more different in the way they see the future of wind power in the county. 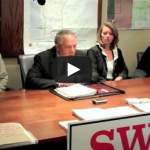 Goldhawk Fights Back: Farmers Shawn and Tricia Drennan are trying to get an injunction to delay a giant wind farm near their land in the Bruce Peninsula. Their lawyer Julian Falconer explains how he will argue their case in court. 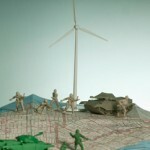 On March 27, 2009, the residents of Mars Hill living within 3600 feet of First Wind’s wind energy facility filed a civil complaint in Maine Superior Court seeking relief from the “significant harm” caused by the First Wind and others by the construction and operation of the site. 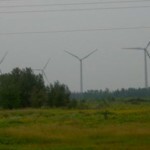 LONDON, ON — The war over Ontario wind turbines is shifting from the political arena to the courts, to a battle between Big Wind and landowners concerned about property values. Toronto lawyer Eric Gillespie said he has lawsuits in the works from 10 different parts of Ontario and is in talks with at least three other groups. 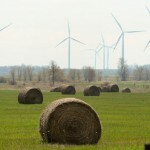 Ontario’s wind power strategy will go under the microscope Tuesday in eastern Ontario in what could be a precedent-setting case over the impact wind farms have on local property values.